After I took the N2 test in July of 2011 and failed it (by about 15 points), I discovered one of my weaknesses was listening. This should be kind of obvious to me because I hadn’t up until that point spent much time practicing listening. After all, I live in Japan and hear Japanese every day on TV and at work. However, this isn’t always enough. The JLPT is meant to cover all everyday conversations not just a few of them, and I haven’t been exposed to a lot of say directions given to me by a superior. I also haven’t really had to take that many notes while listening to Japanese so I really didn’t have that skill when I took the test in July. And it really showed in my score. So, I resolved to do a little something about it by picking up the New Kanzen Master N2 Listening book and seeing what it was all about. It couldn’t possible hurt right? What I learned though was well worth the price of admission. I would say this is one of the best books you can get to prep for the JLPT N2. 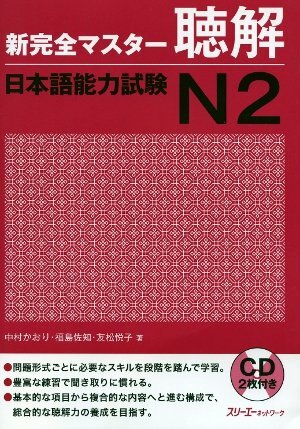 In the first of the 3 sections of the book, the authors go over each type of question that you will find on the listening section of the JLPT N2. They only go over one question of each type, but it is enough to give you a general idea of what to look out for while you are working your way through the book. With each question there is a transcript on the next page and a brief explanation of the answer. This helps raise your comfort level on what to expect for each type of question, but doesn’t really give you too much detail on how to answer each. In the second section the book goes over a whole wealth of listening strategies that you can use on the test. Here you’ll find some things that you won’t find in a lot of other prep books for the JLPT N2. The other books tend to just simply be drill books and sample questions, but in this section the New Kanzen Master N2 Listening book really gives you, your money’s worth with some rich strategies. The 1st chapter simply goes over some general listening practice. For example, you learn the rules of shortening phrases in spoken Japanese. This is something that had never really been properly explained to me before, but definitely shows up on the test a lot. To give you just one example, in written Japanese we would say something like 食たべてしまう, but in spoken Japanese it would be 食たべちゃう. They also have some good practice for listening for long and short vowels as well as stops (っ). This might seem elementary, and I did in fact remember practicing this when I was studying for 三級さんきゅう(N4), but it serves as a short little reminder of how important a little っ is. After the 1st chapter, each chapter goes over specific strategies for the questions on the test. This includes a variety of phrase cheat sheets to practice from. There are charts for all the ways to agree or disagree (there are about 14 or 15 ways actually) and other charts that go over if the speaker is doing the action or the listener is doing the action. Other chapters go over how to properly take notes for each style of question. They go over specific ways to chart out and answer the questions so that you don’t get lost and disorganized during the listening section. This was a major boon for me, I felt like it really helped me in the last two or three questions of the exam, where the question is not given to you before hearing the conversation and you have to take good notes in order to answer the question when it is given to you at the end. The final section contains one full mock test of only the listening section of the JLPT. This includes the same number of questions as the actual test. It is also about the same level as the real thing too. So it provides great realistic practice for the exam. The only issue with this mock test is that it doesn’t contain any explanations of the questions. This isn’t very helpful, especially if you don’t have a tutor or native speaker friend to ask questions too. It provides great practice, but if you’d like a little bit more feedback or are still having problems with the test questions, I would recommend picking up a full mock test for N2. If you are outside of Japan, a good place to pick up the New Kanzen Master N2 Listening is at White Rabbit Press. They always tend to offer the best pricing and fastest delivery from Japan. If you are inside Japan, you can pick it up at Amazon.co.jp of course or at a major bookstore in a major metropolitan area. Have you tried this book out before? I’d love to hear about it in the comments below. P.S. Do you love hearing about JLPT resources? Me, too! Sign up for the newsletter! P.P.S. Is the New Kanzen Master a really awesome book? Then try joining my Facebook Page for all the latest updates. JLPT Listening Sections – What are They Like? It was my first time to take the JLPT last December and I took the N2 level. I agree with you on many levels with regards to the strength of this book. Of all the Shin Kanzen Series books, this would be the top book that I will recommend, followed by Vocabulary and then Grammar. I did not buy the Kanji book as I recommend another one for that section. How was the vocabulary book? Do you think it really prepared you for the vocabulary section? I’ve always been a little wary of vocab books because I tend to pick up a lot of my vocab from reading and Anki. Did you see a big advantage in picking up the vocab book though? And just out of curiosity, what Kanji book do you recommend? I forgot about the reading section. It’s pretty good too. which is basically designed for N3 but has gives a solid review before going back to ShinKanzen N2. Eventhough the reader is not an international student, the division into different chapters with common themes helps the learner get used to the kanji quickly. I recommend this for visual learners. If people would like also to review through writing and wants some audio reinforcement, then the ShinKanzen Kanji book is more suitable for such task. Both of those look like pretty good books. Did it help with some test strategies? For example, the 3rd section of the vocabulary section of the exam, where you have to fill in the one kanji that is missing from a kanji compound? Those are always tough for me. 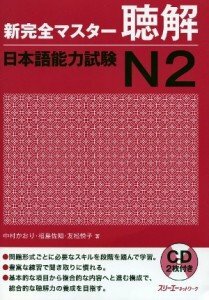 For those outside of Japan, you can pick up 日本語単語スピードマスターＳＴＡＮＤＡＲＤ２４００―日本語能力試験Ｎ３に出る at White Rabbit Press. The Kanji book looks pretty interesting as well. I don’t think I’ve ever seen that in any bookstores. I guess I haven’t been looking. Did you pick up at bookstore? The speedo master book helped me in decoding some of the common vocabulary that are suddenly written in kanji when it comes out of the N2 exam. With regards to the filling up the missing kanji in kanji compounds, the Shin Kanzen Master Goi is proven to be useful as it lists out every possible compounds that can appear in the test. The kanji book is found in Kinokuniya and other major bookstores. I believe basically that if one can master this book, then you can understand and read kanji that we see everyday in Japan. There’s an advanced level of this book if you’re an eager learner. Hey, just have a quick question. Going in for JLPT N2 in December, was just wondering as you mentioned Anki previously, I’ve currently only managed to find vocab lists for Anki that are kanji – hiragana or kanji – English meaning, which do you find most helpful or can you recommend a specific Anki file that you find useful? Currently I’m building up my vocab through reading news articles and the fact that I deal with JP customers almost daily via email is helping somewhat. Also never done JLPT exam before however from what I read it seems you only have to recognize the vocab and kanji on the exam rather than being able to write them down from scratch is that correct or am I wrong? I can’t think of a specific one to recommend. I used to use a deck that was fairly massive for the N2 that included grammar points as well, but that was well over a year ago. I switched to working with more personal decks and using memrise.com . I found the combination of studying the lists and using your own list of words that you’ve pulled from your own reading sources is the best way to prepare for the vocabulary section of the exam. You don’t have to write the kanji down from scratch. Have you taken a N2 practice test yet? Do you know if anyone has made an available anki deck for this series? I can’t find one.. Previous post: JLPT BC 63 | Are you a Visual Learner?